While I don’t eat pork, my guys do. 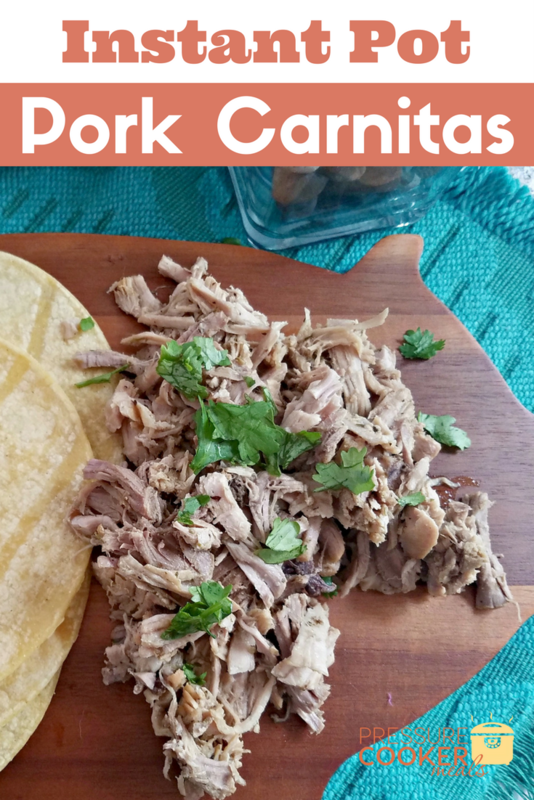 That means that this recipe for Instant Pot Pork Carnitas is definitely a hit in our house on busy days. They love coming home to a hot meal, and I love having what would normally take hours, come together in such a short time. This flavorful meal is a great addition to any menu, and will soon become a favorite for the whole family. I start with any cut of pork roast. You want it to have a bit more marbling than not since that adds flavor to the meal as it cooks down in the Instant Pot. However, just find what works best for you. Usually, a 2-3 pound pork roast or pork shoulder is a great choice for this. A tougher cut of meat is best since this is intended for a slower cooking process. No need to waste a tender pork loin on this recipe. 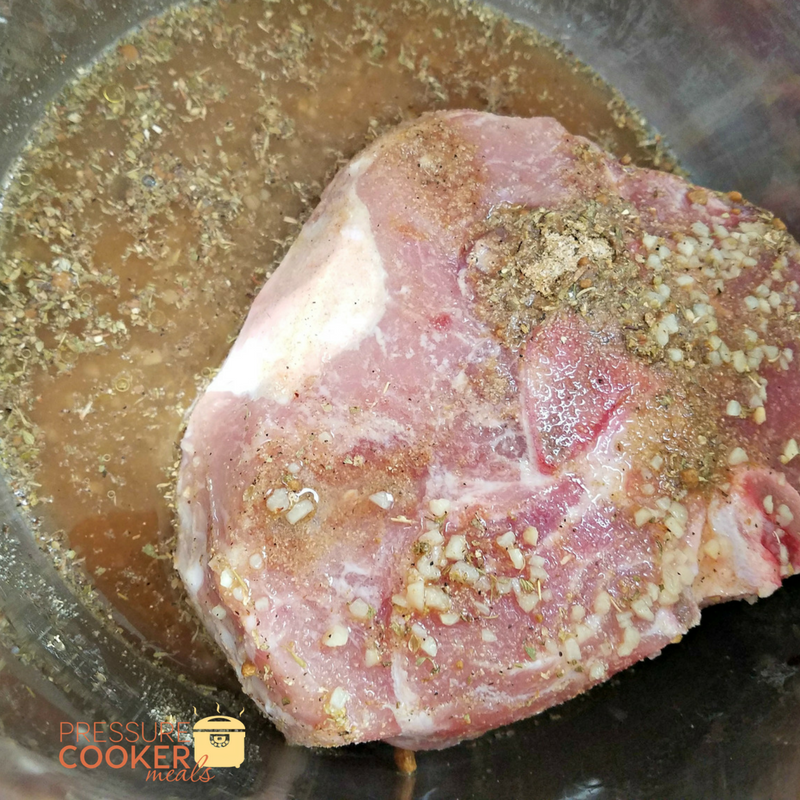 Place pork shoulder or roast in bottom of Instant Pot on top of olive oil. This adds some flavor, but also helps prevent initial sticking in heating. Sprinkle seasonings over the top of pork. I usually mix them together in a small bowl ahead of time, but you can season in whatever method you prefer. Top with stock or water (your preference). Add lid and set to seal. Select Meat option and set to 55 minutes. Allow to come up to pressure and complete the cooking process of 55 minutes. Quick release, and use tongs or fork to shred meat mixing with juices to help retain flavor. If you prefer a crisp texture, you may drain some liquid off and use the saute feature to crisp the meat for 4-5 minutes prior to serving. This is not necessary and is only a texture preference for some. Serve with tortillas, sour cream, salsa, pico de gallo, guacamole, or any traditional toppings of your choice. 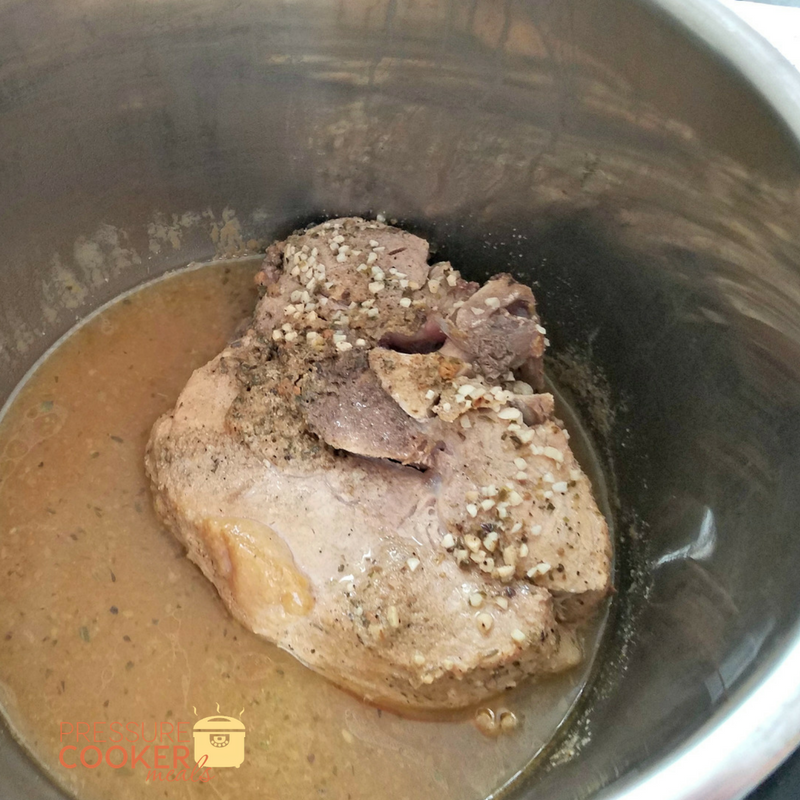 As you can see, a traditional pork roast would take hours to cook down in the oven, and then would take 20-30 minutes on a stove top to infuse the flavors and crisp the meat. 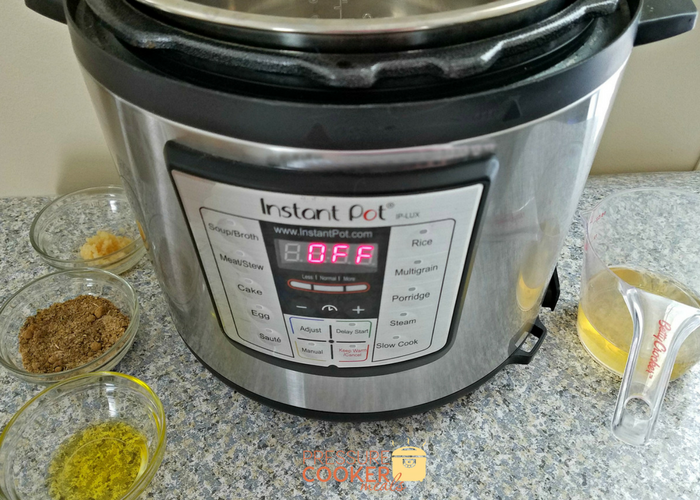 Using the Instant Pot allows you to walk away and cook this meal in a little over an hour from start to finish. It’s also ideal for summer since you aren’t heating up your home with a hot oven. We love serving this with fresh locally made corn tortillas, but you can serve alone, on a salad, in flour tortillas, or on nachos. It is so versatile and delicious. If your family likes things spicy, you could even dice up chiles or add more chile powder to the recipe to kick up the heat! 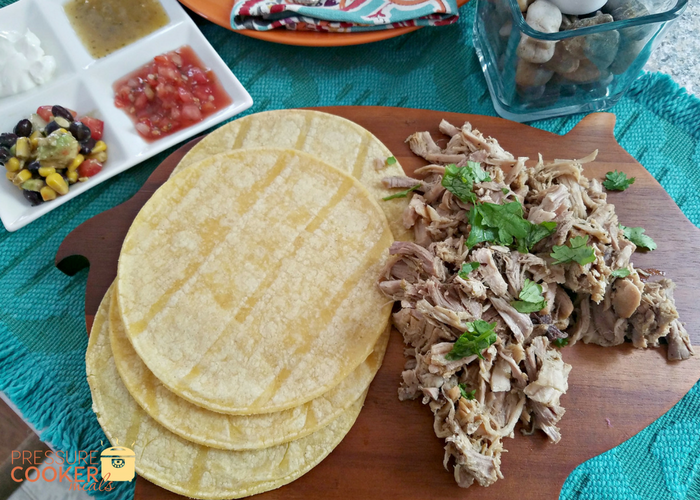 Whatever you choose, this Instant Pot Pork Carnitas recipe is going to be a hit with your family for sure!